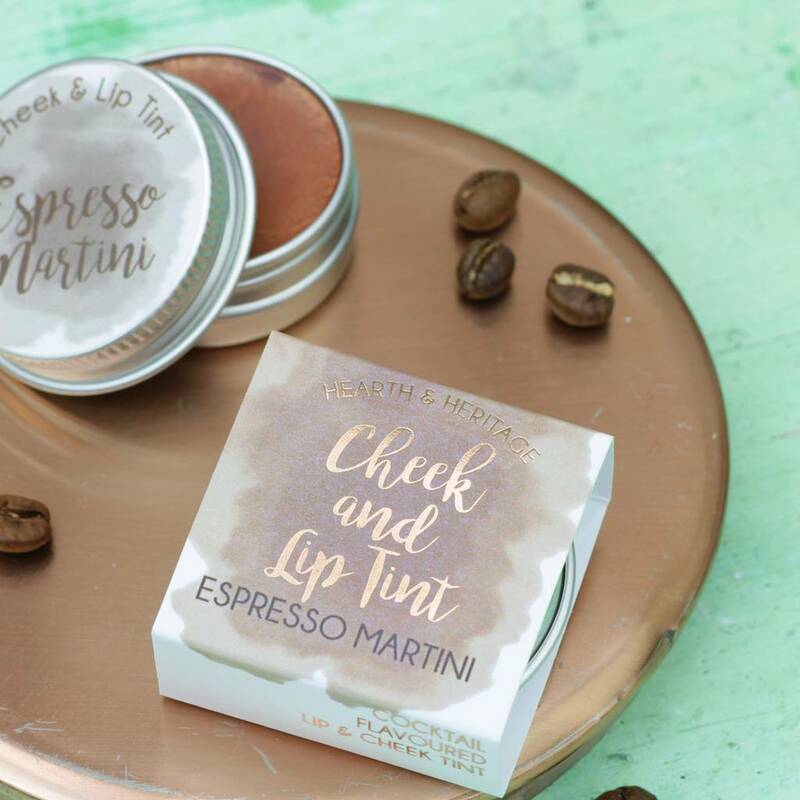 A Cheek and Lip tint made with natural products presented in a cute tin and Rose Gold printed sleeve, a handbag must have! 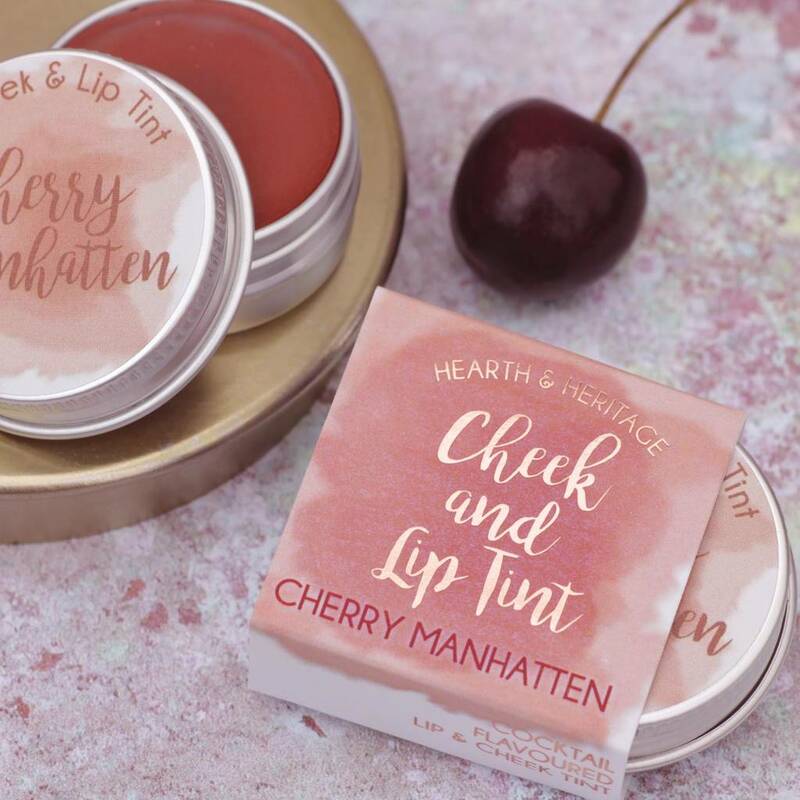 Cherry Manhatten (red) flavour - Cherry with a hint of Bourbon. 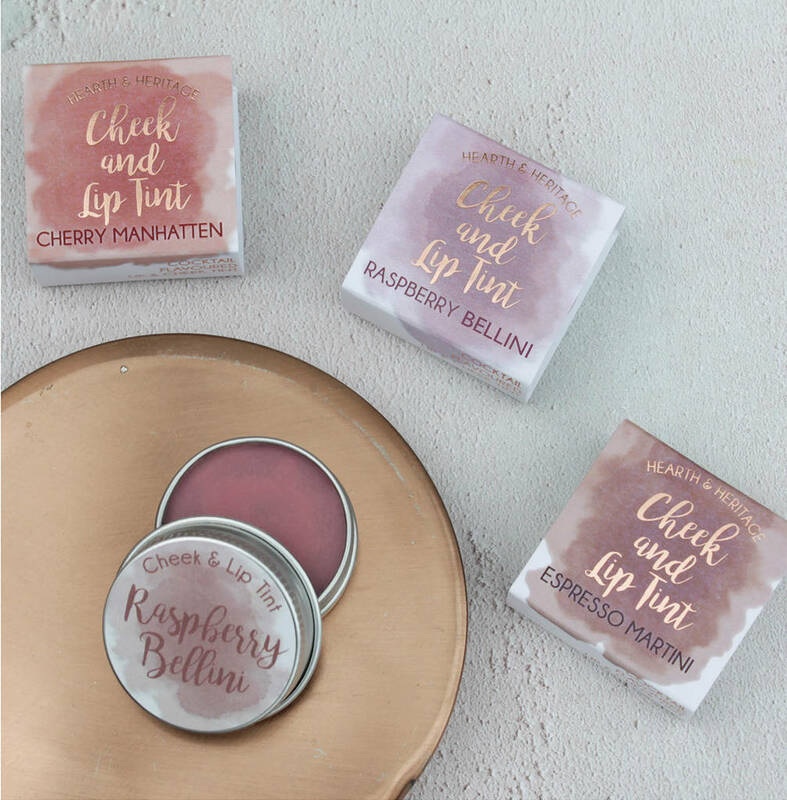 These fabulous tints are made the same way as our popular lip balms but have a much higher level of colour pigment, apply with a brush or your fingers straight onto your lips for a tinted colour and a protective balm, also straight onto your cheeks to add colour, rub in like you would a cream blusher. 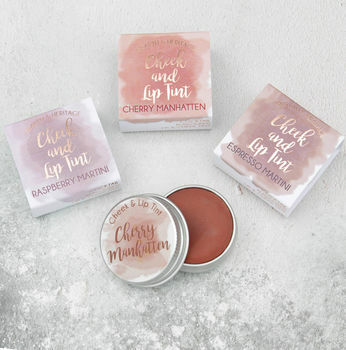 Made with Beeswax, Shea Butter, Cocoa Butter and Calendula Oil, these liptints are a totally natural product, kind to your lips and skin and fun to give as a gift to your Cocktail loving friends! 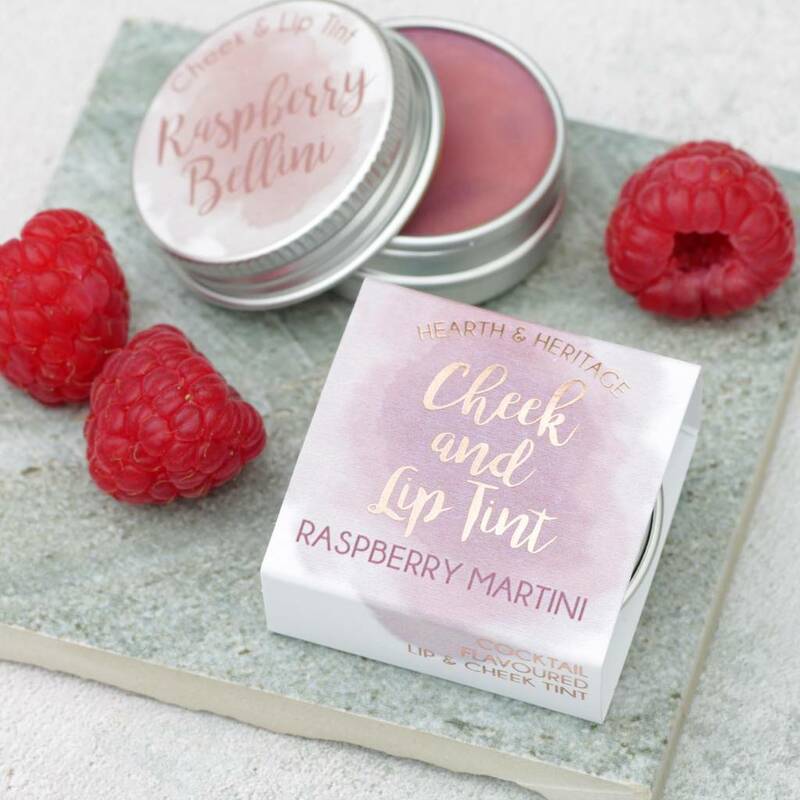 These handy little tins are a great stocking filler at Christmas or a little thank you gift throughout the year, we also offer a range of other Cocktail themed products in our store such as candles, soaps and tea towels. 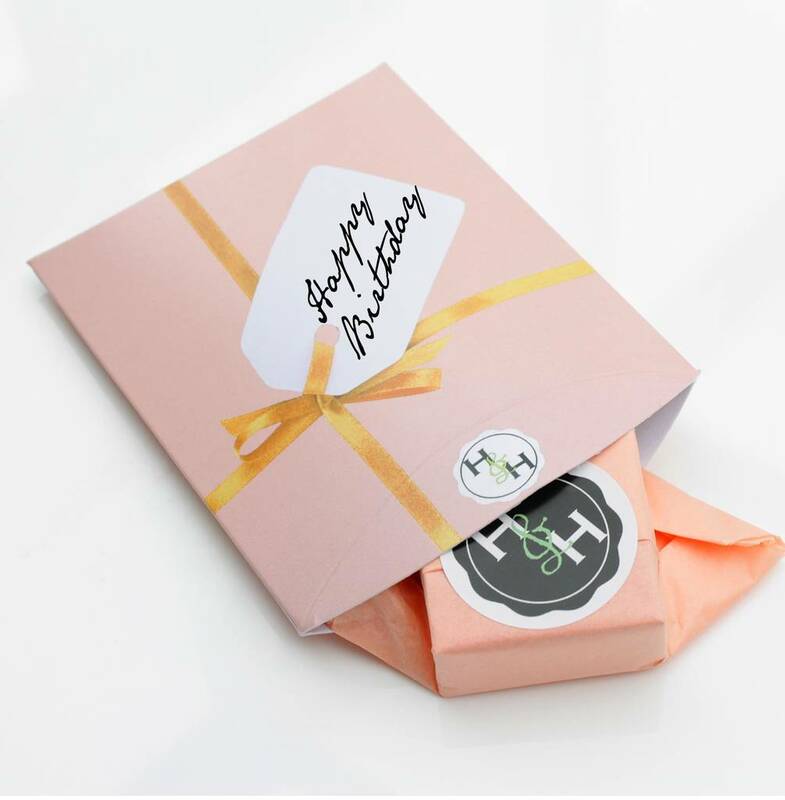 You can now have these gift wrapped in blush tissue paper and placed in a lovely branded blush pink pillow box with space to write a personalised message and either sent to you or sent directly to the recipient.